Get set for all your writing needs with this fab Nightmare Before Christmas Stationery Set! 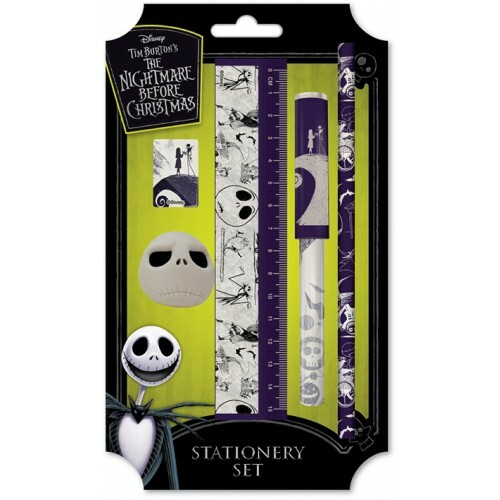 Featuring Jack, Sally and Spiral Hill artwork you get a pen, pencil, ruler, pencil sharpener and eraser packaged nicely on a cardboard backing! A great, practical gift for any fan!